With 2,350 jobs at Leeds Bradford International Airport alone and more than 4m passengers per annum with a forecast of growth, there is a world of opportunities in the Aviation industry, whether you are interested in being a pilot, air traffic controller, dispatcher, cabin crew, ground crew or airline agent. 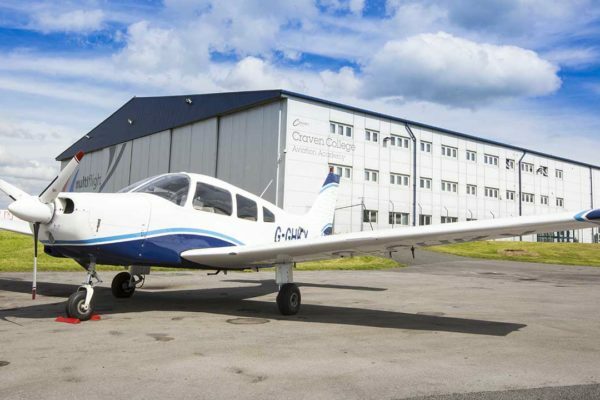 Our unique airside campus at Leeds Bradford Airport ensures that your learning experience takes place alongside industry. We have extensive industry links with the UK and European companies including Swissport, Jet2.com, Multiflight, World Duty-Free and Leeds Bradford Airport which explains our outstanding student progression into Aviation careers and Degree level study. There is also scope for students to study and work abroad with Aviation and Travel partners around the world. Thanks to our tutors who have specific training in the Aviation industry, we are able to offer students an engaging and varied learning experience to remember.